For two decades, Véronique Nichanian has imbued the clothes that she designs for Hermès with a distinguishable air of sophistication. The artistic director delivers pieces that feel both timeless yet relevant to the sartorial desires of the modern man who happens to have a penchant for luxury items. Staged outside, staple white garments (think long-sleeved tops, vests and boxers) hung from makeshift washing lines which undulated in the evening breeze. This heralded a fresh direction for the brand for SS19 – the deep burgundy tones and staunch silhouettes from last season were forgone in favour of light, textural separates. 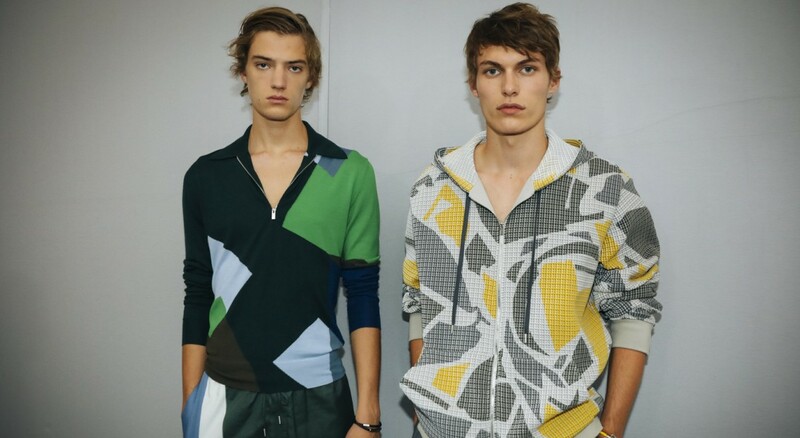 High-brow hues identified in the show notes as “daffodil”, “lagoon” and “chocolate” gave an element of sumptuousness to a collection that seemed fitting for the man who holidays along the Côte d’Azur. 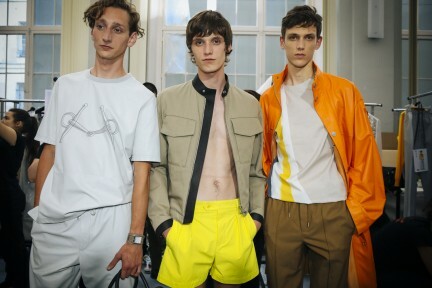 Jackets in rubberised lambskin were paired with casual drawstring trousers in lemon yellow and tangerine, while geometric half-zip tops were left undone and cotton poplin t-shirts unzipped at the neck for a sensual-yet-soft touch. 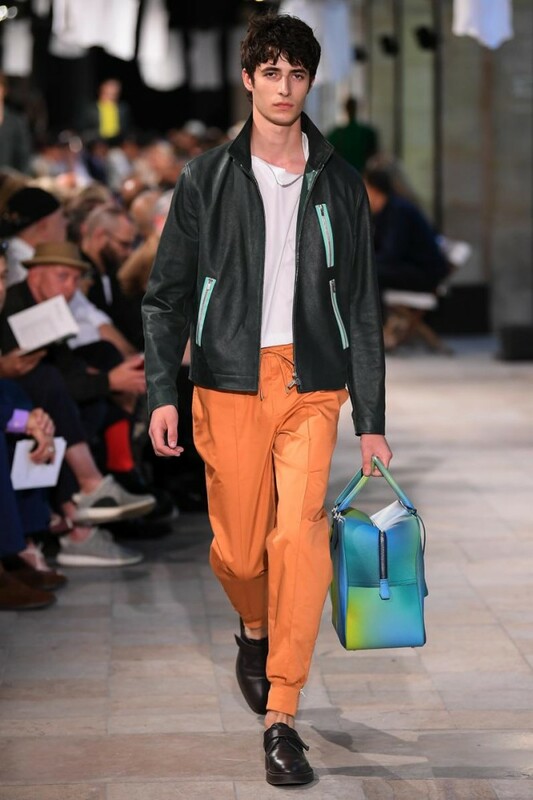 In accordance with the current menswear shift, Nichanian also sprinkled her line with streetwear pieces – bum bags were worn across the body with sweeping check parkas while calfskin sweatshirts styled with pleated shorts seemed both relaxed and resplendent. This was high-end clothing with a hint of subcultural flavour: a Hermès that appeals to the tastes of today’s generation while staying true to its history.